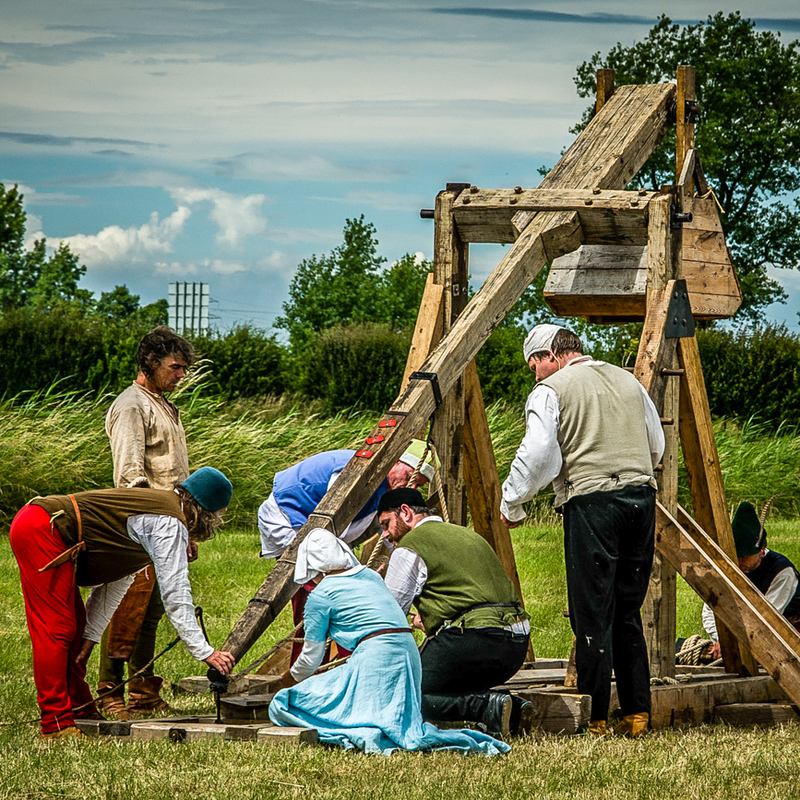 The Medieval Siege Society owns the largest portable medieval trebuchet in the UK. 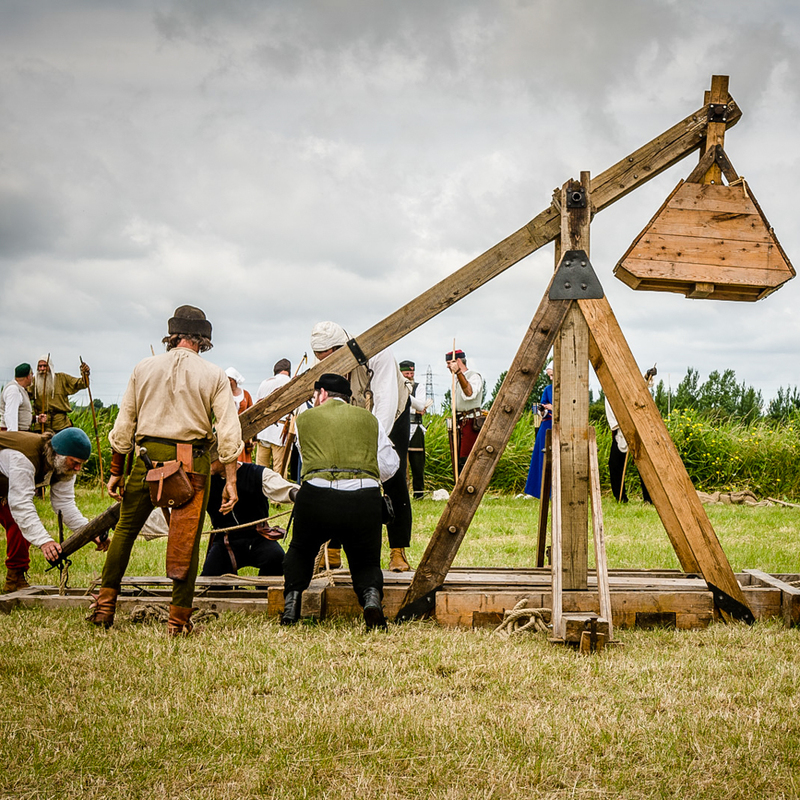 It can be demonstrated in displays or used during battle recreations. It is an exciting optional extra and is available at an additional cost. 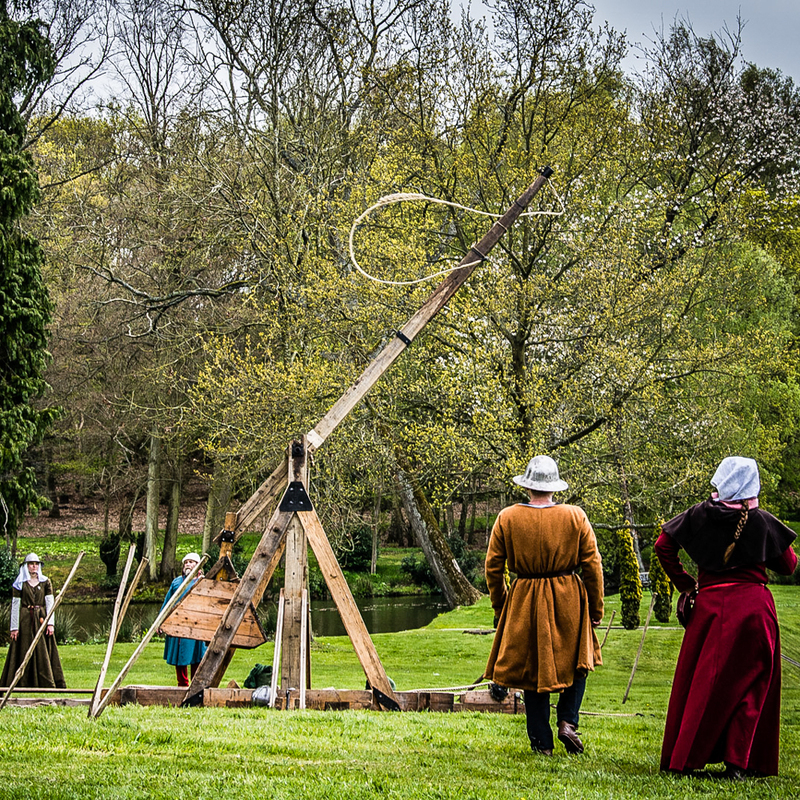 Our highly skilled and trained sapper team can be seen at many of our events using our authentic trebuchet to enthral and delight members of the public. 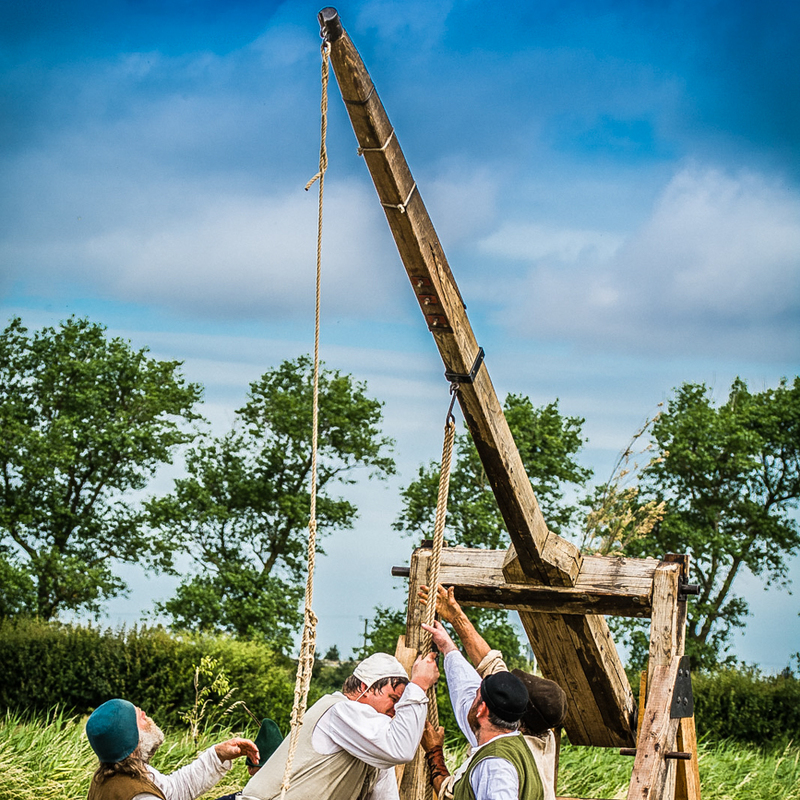 The term sapper comes from the word 'sap'. A sap is the trench and the mine dug under the walls of the castle that was under attack. 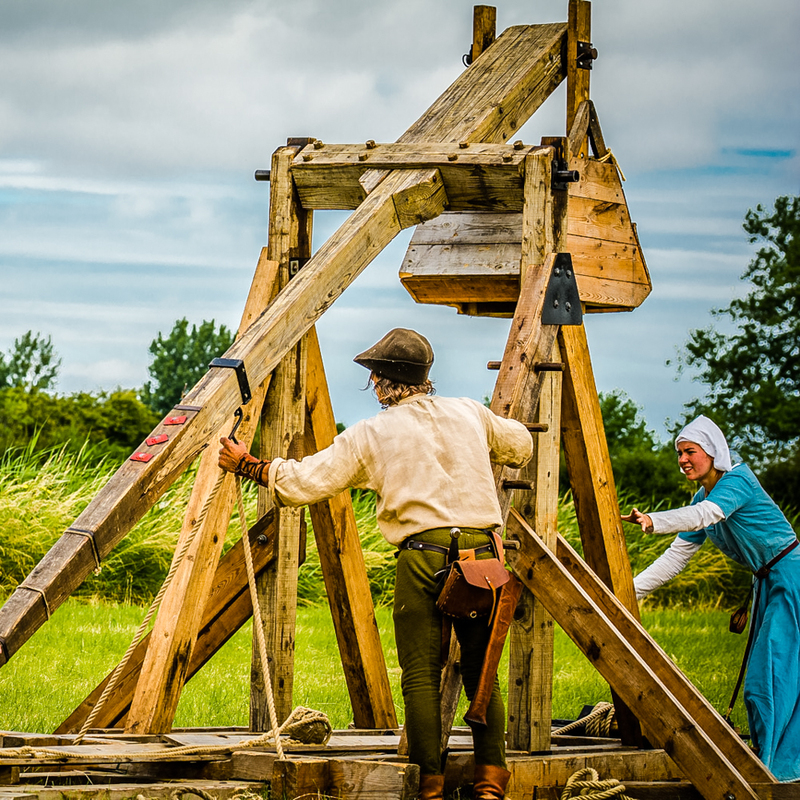 Therefore the people, both men and women, that under took this work become known as sappers. We still to this day have sappers in our armed forces, they are now known as the Royal Engineers. 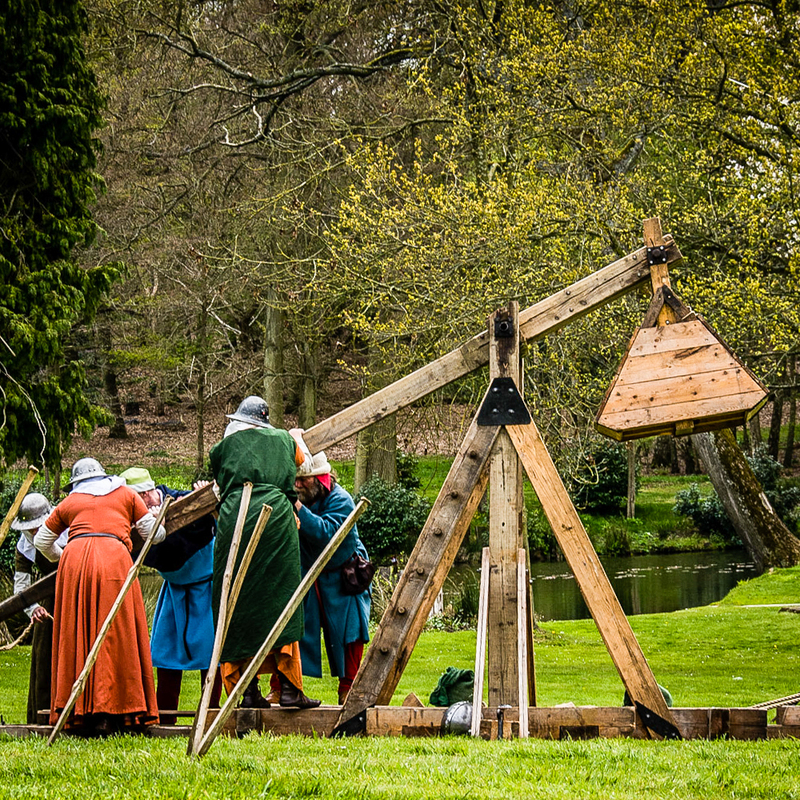 To protect the siege camp, the sappers would construct defensive works of wood and earth. 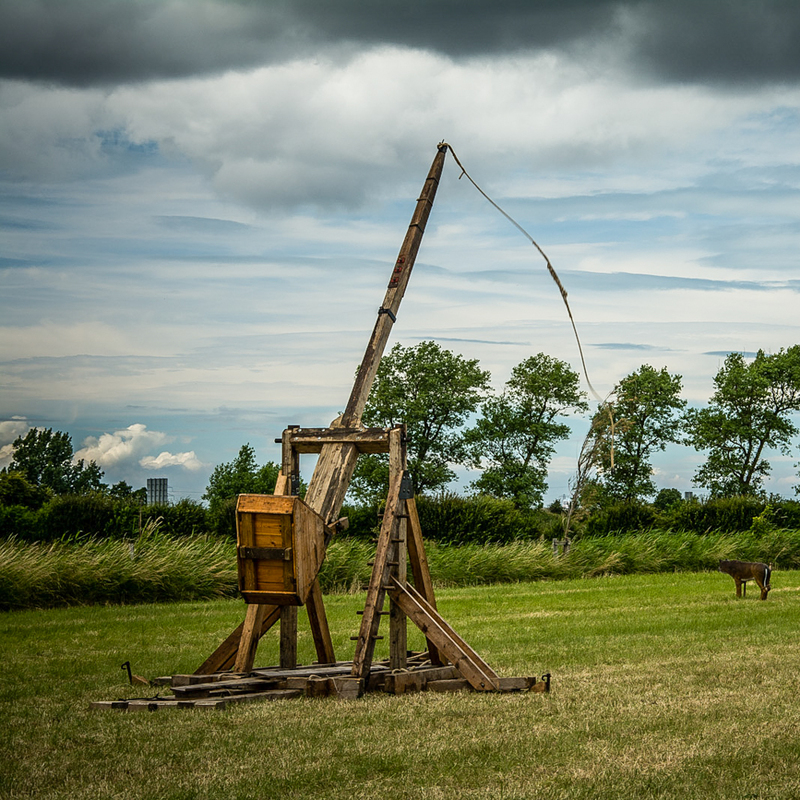 This was to protect the attackers from projectiles shot by the defenders of the castle, and to safeguard against the defenders sallying forth from the castle to attack the siege camp. The idea of digging a mine under the walls of the castle was that once under the walls, the sap would have been filled with wood and straw all covered in pitch and tar. This would then be set alight to burn out the frame work of the mine and cave in the ground above, which would damage the foundation of the wall and eventually collapse foundation and hopefully castle into the pit left by the burnt mine – much like modern day demolition.